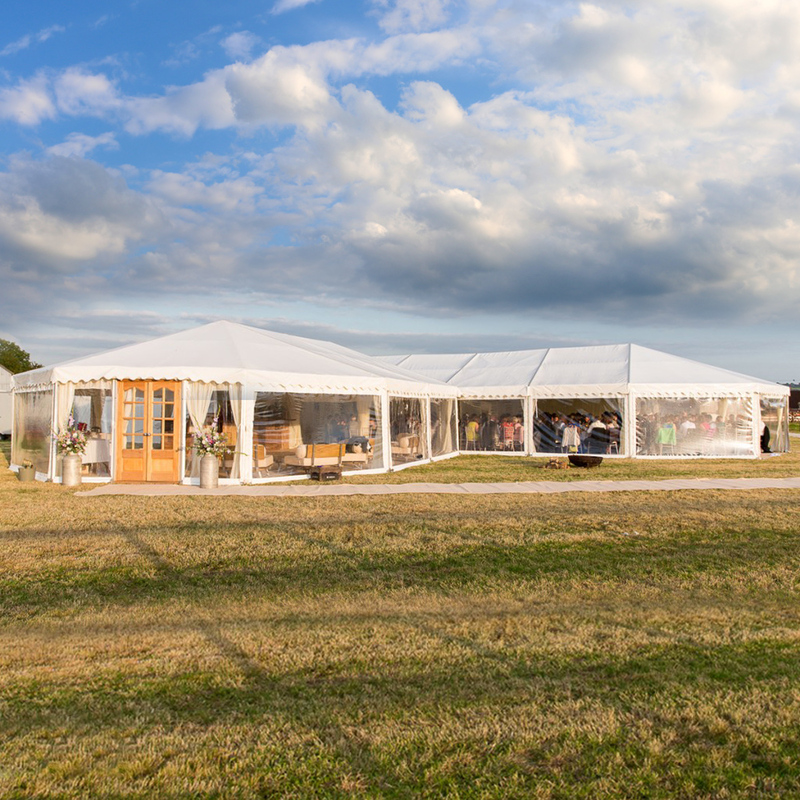 Clearspan Marquee hire is a hugely flexible and versatile option for your event. 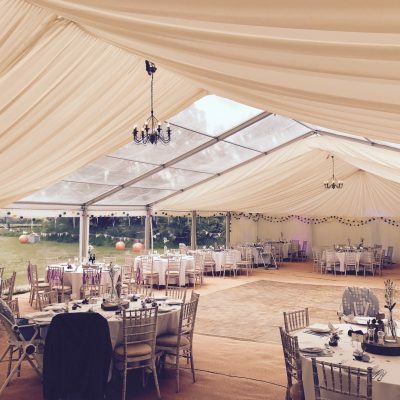 Their modular design allows you to create a perfectly sized marquee for any occasion. 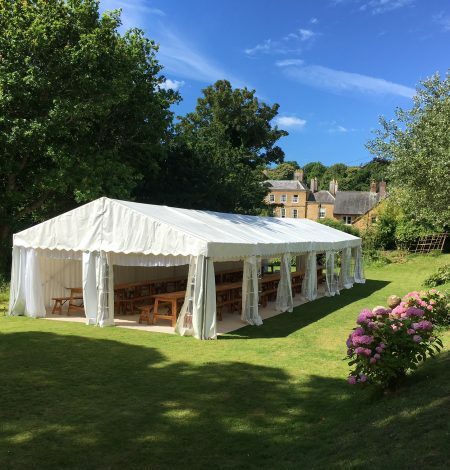 With no internal poles or guide ropes they’re our most popular choice. 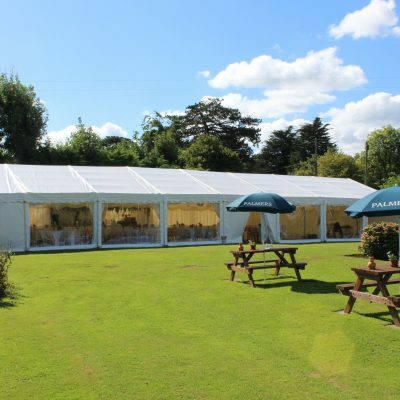 Every marquee is bespoke for you. 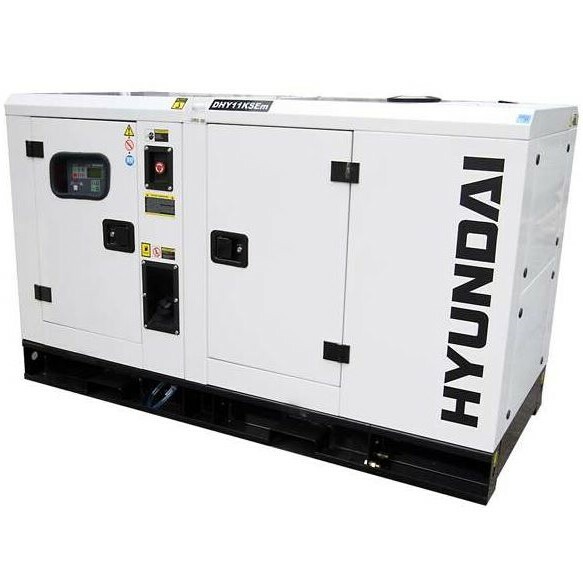 There is a lot to choose from. 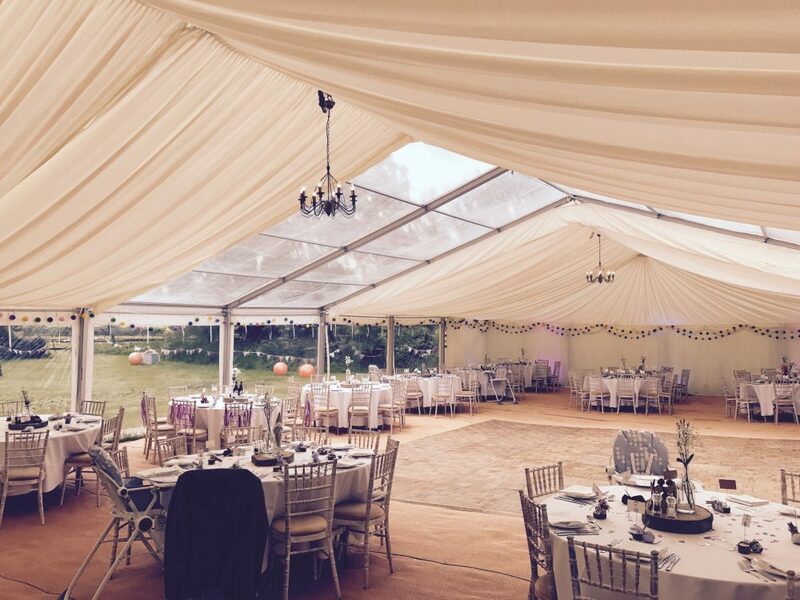 We offer two different types of window, (Georgian & Panoramic) as well as clear roof sections and gable ends for your marquee. These are a great choice if you want to maximise the natural light in your marquee or have a particular view that you want your guests to enjoy. 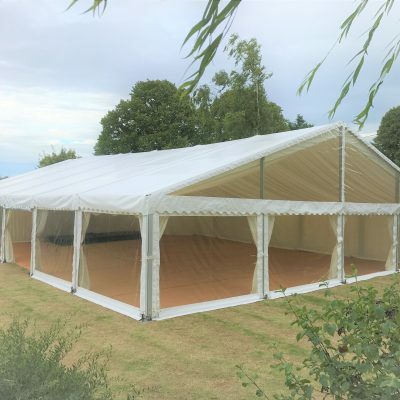 We also offer a range of flooring options from coconut ‘coir’ matting to a totally level wooden cassette floor, so even if your garden or site isn’t level there is no need to worry. 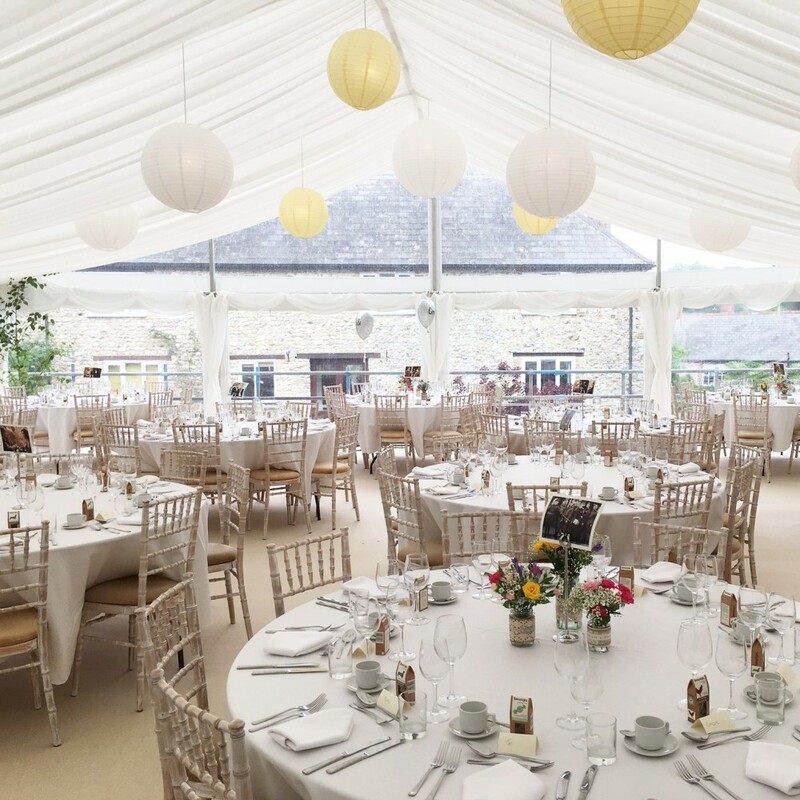 Once inside think pleated ivory linings, ceiling lanterns, black & white dance floors & beautiful furniture, to finish off your marquee. 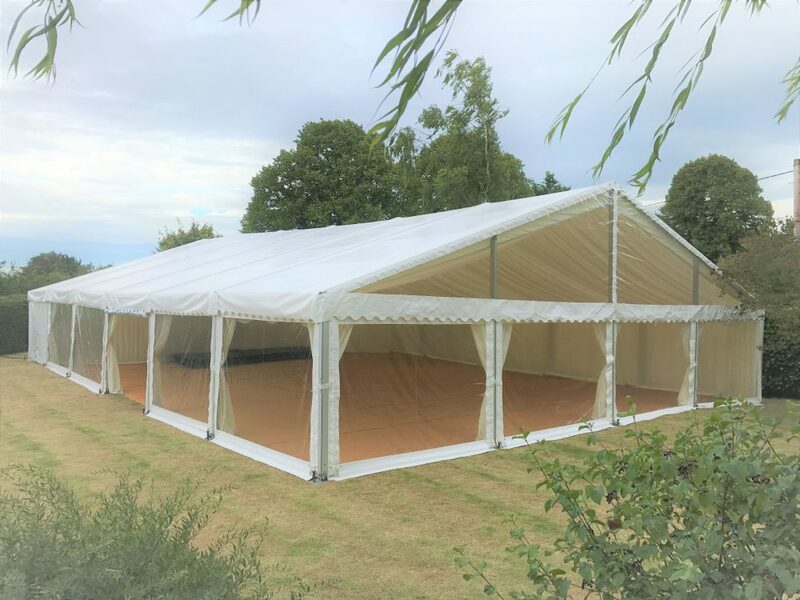 Our Clear Span Marquees are available to hire in 3m, 6m, 9m and 12m widths, so whatever the size of your garden or site we’ll be able to create a solution that works for you. 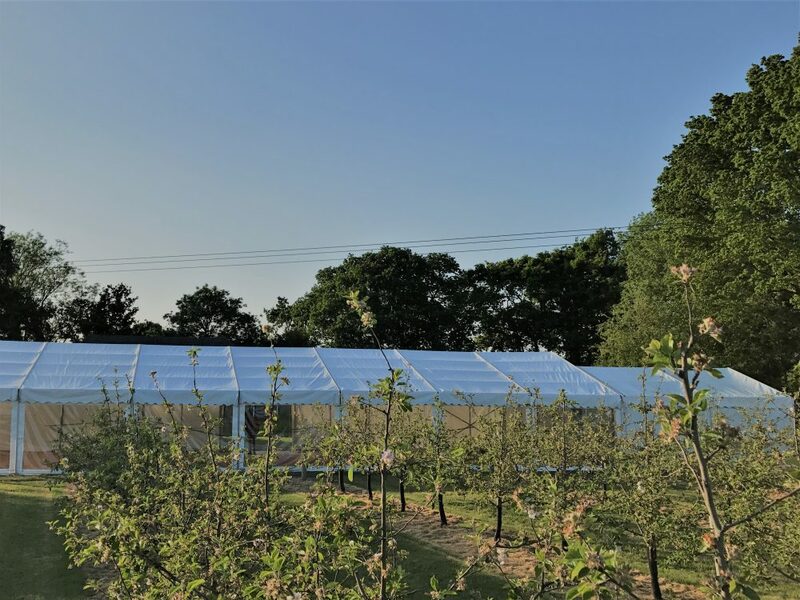 Designed with natural light in mind, we can supply either Georgian style or panoramic window walls. 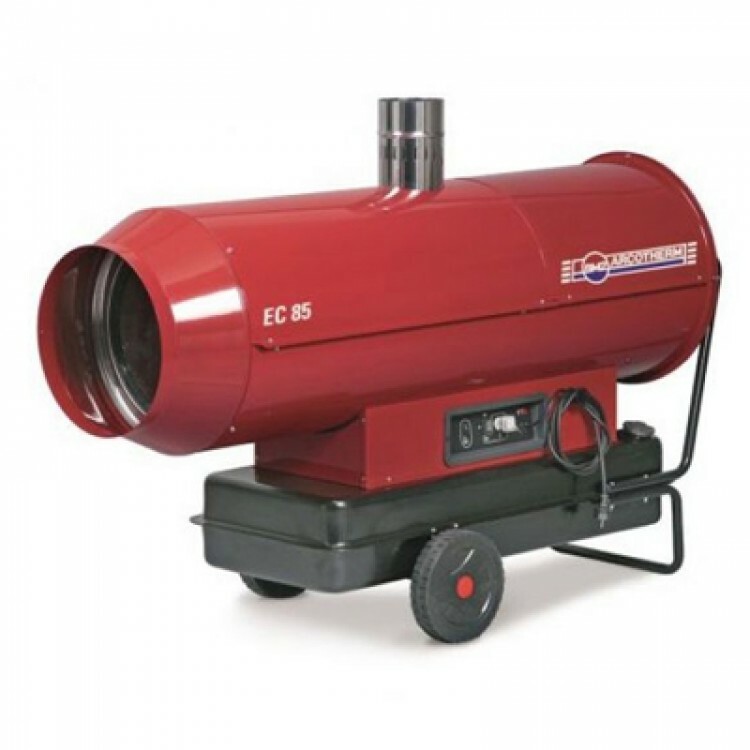 These can create a beautiful effect, especially if your venue or site has a view that you want to capture. 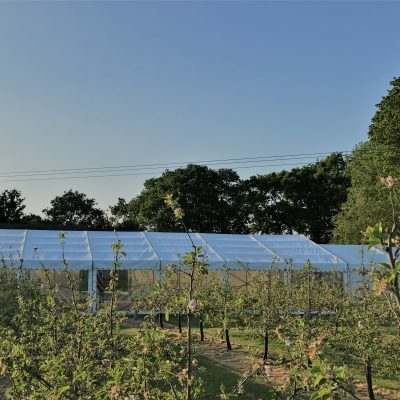 We also have innovative hexagonal ends for our marquees along with panoramic roof sections and gable ends. 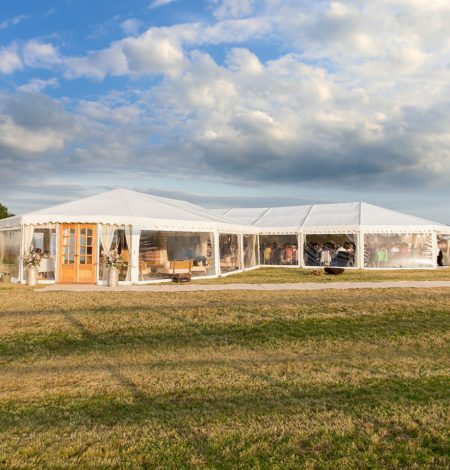 Once you’ve decided on a marquee, we’ll work with you to plan out your event, providing you with scaled 3D drawings and advising you on everything from linings and lighting to flooring and furniture. We cover the entire South West and are happy to deliver to all parts of Dorset, Devon, Somerset and Hampshire.